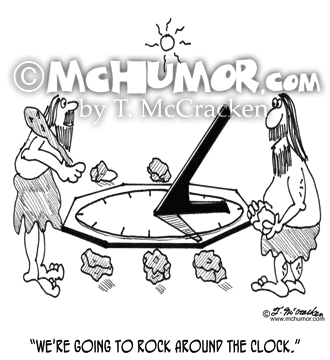 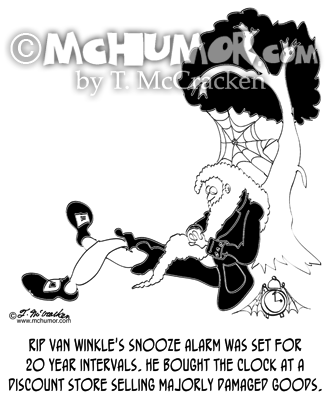 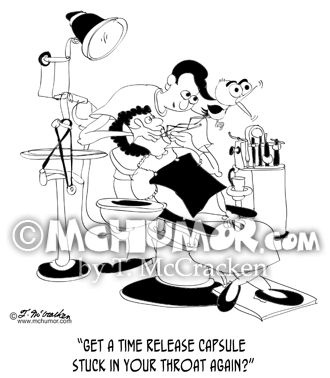 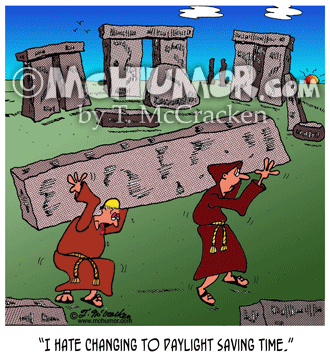 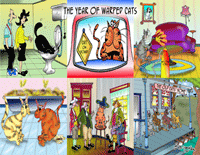 Clock Cartoon 8997: “Rip van Winkle's snooze alarm was set for 20 year intervals. 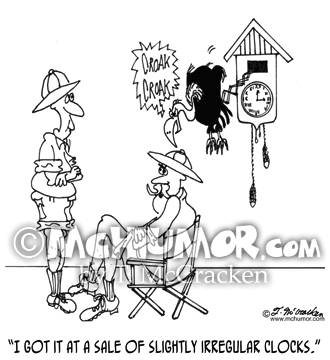 He bought the clock at a discount store selling majorly damaged goods." 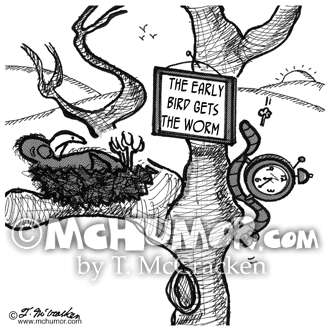 Bird Cartoon 2044: A worm steals a bird's alarm clock of a bird with a sign, "The Early Bird Gets The Worm." 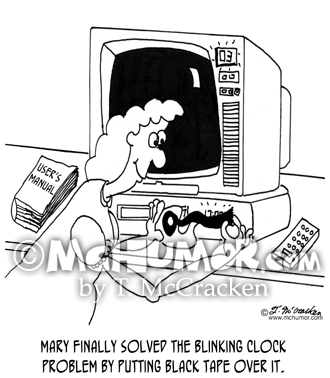 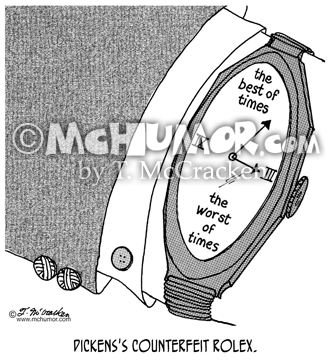 Clock Cartoon 6520: "Mary finally solved the blinking clock problem by putting black tape over it." 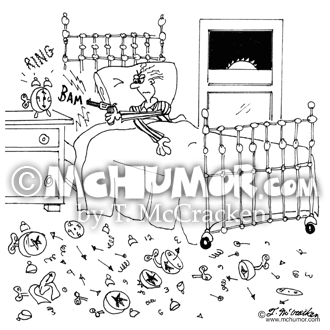 A woman puts tape on a TV. 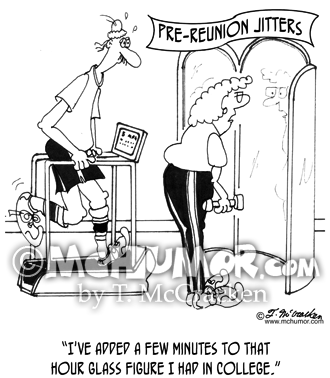 Reunion Cartoon 9012: "Pre Reunion Jitters" A woman in a gym looking at herself in a mirror says: "I've added a few minutes to that hour glass figure I had in college."